Plan governance is the administrative oversight that assists in ensuring you are managing an effective and compliant employee benefit plan. It provides the structure, authority and processes for implementing and operating benefit plans. Thus, proper plan governance is crucial to plan sponsor functions pertaining to plan design and amendment, as well as plan fiduciary functions such as the selection and monitoring of investments and service providers, and determining benefit claims. This article provides an overview of the importance of developing proper plan governance procedures under the Employee Retirement Income Security Act of 1974, as amended (ERISA), as well as key steps to implementing those procedures. Why Is Plan Governance Important? Understanding and following plan governance procedures is essential to proper plan design and operation for a number of reasons. Importantly, it is plan governance that controls who has the authority to amend a plan and what procedures must be followed in doing so. Courts have consistently found that when an employer amends a plan in a manner inconsistent with the plan’s amendment procedures, the amended provisions are unenforceable by the employer against plan participants. Furthermore, if plan governance procedures are not followed, the establishment or termination of a benefit plan may be found invalid. Most important to plan fiduciaries is that developing and following proper plan governance procedures will decrease their overall exposure to (personal) liability. This is because the actions they take in accordance with proper plan governance procedures will be, as a general matter, given greater deference in court. What Steps Should You Take to Develop a Proper Plan Governance Procedure? Identify individuals who have authority to make decisions on behalf of the plan. As a starting point, it is important to identify two entities required by ERISA for plan governance: the plan sponsor and the plan administrator. Under ERISA, the plan sponsor has the governing authority to establish, maintain, amend, and terminate the plan. For a corporate plan, the plan sponsor is generally the company’s governing body (e.g., the board of directors). The plan administrator is the entity with the discretionary authority to make decisions on behalf of the plan and the responsibility to ensure the plan is administered in accordance with its terms and applicable law. A plan sponsor may appoint itself as plan administrator, but often chooses to delegate plan administrator authority and responsibilities to a benefits committee or an officer of the company who has a better working knowledge of the company’s benefit plans and, therefore, is in a better position to make decisions regarding plan administration. 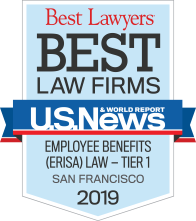 The committee members or officer are not required to be experts in employee benefits, but they should be qualified (e.g., have a background in HR, finance or investments), and they will be held to ERISA’s high fiduciary standard of conduct. (Note: as discussed further below, it is advisable that all plan fiduciaries, regardless of their background, undergo proper fiduciary training to ensure they understand their responsibilities and duties under ERISA, as well as the plan’s specific governance procedures.) The responsibilities of the plan administrator may be limited to day-to-day plan administration (distributing forms, answering participant questions), but often the plan administrator is granted broader powers, including the power to amend or terminate the plan, serve as an investment fiduciary and bind the company in written contracts. For purposes of efficiency and to take advantage of varying types of expertise, the plan sponsor may choose to split the delegation of “administrative” functions (including day-to-day administration and plan amendments) and “investment” responsibility among different committees or officers. Thus, as a matter of plan governance the plan sponsor may choose to establish separate administrative and investment committees. Regardless of whether a single or multiple committee structure is used, the plan sponsor should seek to identify the individuals/entities best suited to make decisions on behalf of the plan and then make delegations that are appropriate for those individuals/ entities, as well as the company’s business responsibilities. For example, the plan sponsor may decide that the benefits committee is responsible for determining appeals and effectuating routine plan amendments (such as amendments to update the plan for required law changes); however, the power to terminate the plan or amend it in a manner that significantly increases company costs remains with the board of directors. Document, document, document. Once the plan sponsor has identified the entities/individuals responsible for making decisions on behalf of the plan, it is critical for that authority to be properly documented. For example, if the plan sponsor delegates plan administrator responsibilities to an officer of the company or a committee, that delegation should be appropriately documented in writing (e.g., through resolutions of the plan sponsor). The delegation should identify the officer or committee members granted the plan administrator authority, and any limits on that authority (e.g., the powers the plan sponsor does not wish to delegate). (Note: in general, any plan administrator responsibilities not specifically delegated will be retained by the plan sponsor.) Where the plan sponsor has delegated authority to a committee, the plan sponsor should review and approve an operating charter outlining committee responsibilities and governing procedures (e.g., the timing and conduct of meetings, the replacement of members, the procedures for voting, etc.). The issue of the authority to amend the charter should be addressed in the charter, and that authority may be retained by the plan sponsor or delegated to the committee. Plan documents should contain appropriate provisions. Your ERISA plan documents should contain language permitting the amendment or termination of the plan at any time, at the discretion of the plan sponsor. ERISA requires that plan documents contain amendment procedures, and that such procedures properly identify the persons who have authority to amend the plan. Without clear amendment/termination provisions in place, an employer may face challenges when trying to enforce its plan amendments.It is also important that your ERISA plan documents identify the individual(s) chosen by the plan sponsor to be the plan administrator (or identify the process by which the plan administrator may be selected by the plan sponsor) and include language establishing the plan administrator’s authority and responsibilities. The administrator’s responsibilities can be generalized in the plan document, and may refer to authority delegated by the plan sponsor. Using this broad approach in the plan document will help avoid inconsistencies among the plan document, the delegation documents and committee charter (if a committee is established). Follow procedures outlined in plan documents for amending/terminating plan benefits. Once governance procedures are in place, the procedures should be followed. If you decide to amend or terminate one of your benefit plans, review your plan governance and have the appropriate entity approve the amendment or termination. Following governance procedures will avoid inadvertent mistakes with significant consequences, such as allowing the HR benefits director to terminate a benefits plan or change an insurance carrier without authority. Training for plan fiduciaries. 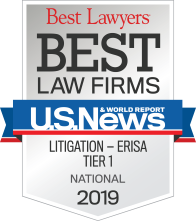 A key to satisfying the fiduciary responsibilities of ERISA is to understand what those responsibilities are and how they apply to the individual’s role. Providing your plan fiduciaries (members of the board of directors and the plan administrator) with regular training on responsibilities and ERISA’s high fiduciary standards of conduct will reinforce plan governance and decrease exposure to fiduciary liability. Trainings should be conducted on a routine basis, or whenever officers or committee members with fiduciary responsibilities have changed. Properly insure your plan fiduciaries. The plan sponsor and the plan administrator are plan fiduciaries under ERISA. As such, they are exposed to claims of fiduciary breach by plan participants and the Department of Labor. A best practice is to insure your plan fiduciaries against the personal liability associated with their roles. Often, this type of insurance is purchased as a rider to an errors and omissions policy of the plan sponsor with covered claims including breach of fiduciary duty, negligence in connection with the administration of the plan, defense costs, settlements, and judgments. It also is a best practice to indemnify your plan fiduciaries for losses resulting from the performance of their services unless such losses are caused by their own negligence or willful misconduct. Typically, the issue of plan governance is addressed at the time a plan is adopted. It is never too late, however, to develop (or update) plan governance procedures for your ERISA-governed plans. Please contact us if you need any assistance with your plan governance procedures.